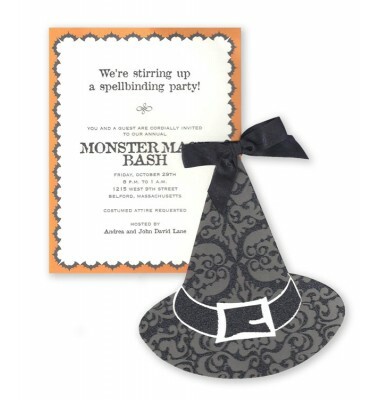 5"x 7" invitation in the shape of a witch's hat. 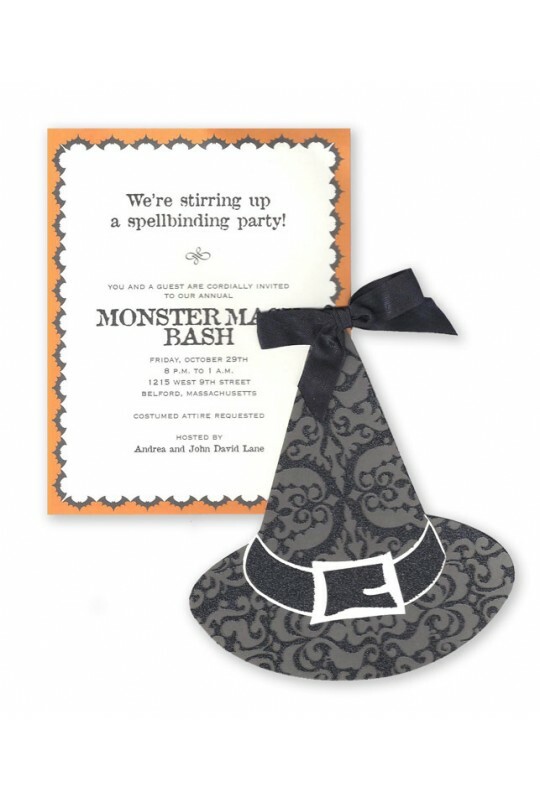 Your party information is printed on a separate card that is attached to the hat with a ribbon. White envelopes included. Attachment of ribbon required.